Have you ever thought of writing your own memoir? Or preserving your family’s history by recording your relatives’ life stories? Many of us have, but so few of us do it. Why? Maybe we think we’re not “good enough” at writing. Or perhaps we’re scared to reveal family secrets. You might have started and somehow just never finished. Bestselling author Darien Gee understands how hard it can be to start and finish writing a memoir. In her book, Writing the Hawai‘i Memoir: Advice and Exercises to Help You Tell Your Story (from our parent imprint Watermark Publishing), she provides concise, step-by-step guidance for writers of all experience levels. Even better, her book goes beyond “how to” and gets you to completion through exercises and encouragement. The emphasis is not on publication—though if that is your end goal, you’ll find pointers for that, too—but on finishing your memoir so it can be shared with others. Sharing our lives opens us up. It connects us. It helps us (as the writer) to make sense of things, to celebrate moments that might otherwise be lost, to remember what matters most. It helps us (as the reader) to see that we’re not alone, that our lives are both personal and universal, that the human spirit is deeper and more profound than we may remember when we’re trying to pay our bills or care for a sick child or parent. We get to be a part of another person’s experience. We can share the joys, the laughter, the chicken skin coincidences, the sorrow, the grief. We can take what we learn and apply it to our own lives. Then we can turn it around and do the same for others. In Hawaiian, mana‘o means several things—thought, belief, intention, ideas, desire. Your mana‘o emanates from who you are as a person. It is individual and unique. You get to claim your life, your experiences, your story. What you put down on the page is up to you. You are the only one who can put the words down in that way. But how to get started…? Writing is ready when you are, wherever you are. All you need are the thoughts in your head, something to capture them—pen and paper, typewriter, computer, voice recorder, whatever suits you best—and a place to sit still and just do it. The key is to start simple. There’s nothing wrong with setting an ambitious goal, but you want to set yourself up for success. That means having a clear idea of what you want to achieve and establishing a rhythm that works with the realities of your life. Twenty minutes or three pages a day may not sound like much, but you’ll know when you’re ready for more. Better to start at a place that feels easy than one that feels too hard. Many people approach writing a book in a haphazard way. They sit down, write a few words, organize their desk, get up for a cup of coffee, write some more, take a bathroom break, check their email, do some laundry, make a sandwich, then throw in the towel for the rest of the day because it’s time to pick up the kids or catch the evening news. There’s nothing wrong with this, but if you want to write a book—more importantly, if you want to finish writing a book—you greatly increase your chances by establishing a routine. Set a Deadline and Finish What You Start. Do you want to write your memoir, or do you want to write and finish your memoir? It may seem like an odd question, but there are lots of writers who write without ever finishing their manuscript. Setting a deadline isn’t meant to quash your creative spirit. It provides focus, and when the brain puts its full attention on something, it filters out everything else. You can move the deadline up or push it back, but you must set a deadline when you begin. Without it, your writing project will be unmoored, left to float about and be pushed around by circumstance or whimsy. The brain loves parameters, and it will rally all your resources around it. The time to do this isn’t when you’re midway through the project, but before you begin. If you want to have a finished manuscript in your hands, set a deadline. Even boiled down to four simple steps, the idea of writing something as “serious” as a memoir may seem daunting. A task for “a real writer,” not you. But if you know how to write, you are a writer. It’s as simple as that. You may be a terrible speller, suffer at the thought of writing a single paragraph or hate reading anything over two pages, but you are a writer. And you already possess all the material you need—your memories. While you may want to look for ways to develop and improve your basic skills (such as punctuation, grammar, story structure), the first thing you must work on is your own thoughts, especially the negative ones. This trumps everything else, because tormented, unhappy writers are no fun at all. Don’t put yourself down. Be kind. Trust your words. Trust your desire to write. I know you can do it—shouldn’t you, too? Author Darien Gee wants to help YOU with your memoir! Need more help? Join Darien Gee at her upcoming intensive workshop through Pacific New Media or free lecture at Barnes & Noble, Ala Moana. Pacific New Media Workshop. “Writing the Memoir: A One-Day Intensive with Darien Gee.” Saturday, March 21. 9am – 4pm. UH Mānoa. Workshop fee of $125 includes a copy of Writing the Hawai‘i Memoir. Optional one-on-one 25-minute consults available following the workshop ($45). outreach.hawaii.edu/pnm/programs/2015/EVENT-L13668.asp or 808-956-8400 to register. Lecture & Book Signing. Barnes & Noble, Ala Moana, Sunday, March 22. 1pm – 2pm. Bring your laptop or a pen or pencil and some paper as Darien will lead a short writing exercise to get you inspired! 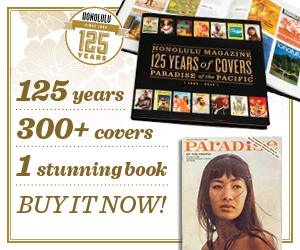 A portion of proceeds from books purchased on this day help benefit PBS Hawaii and their “New Home” Campaign. Excerpted from Writing the Hawai‘i Memoir by Darien Gee. All rights reserved. No part of this book may be reproduced in any form or by any electronic or mechanical means, including information retrieval systems, without prior written permission from the publisher, except for brief passages quoted in reviews. This guide from bestselling novelist and writing coach Darien Gee is a valuable tool for aspiring memoirists.